The combination of glistening lab grown diamonds and white gold is often used for the creation of splendid jewelry designs, and this diamond cluster ring is a beautiful example. 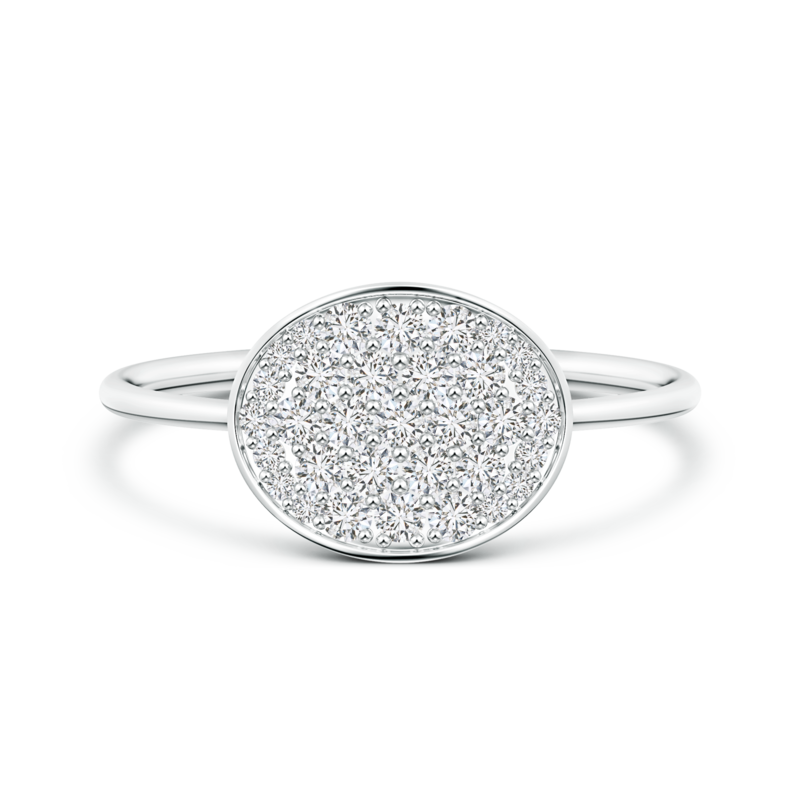 It showcases spectacular lab grown diamonds, pave set within a finely crafted oval frame. The surreal brilliance of these conflict-free gems is perfectly complemented by the gleam of the 14k white gold metal. This alluring piece of jewelry also has a sleek and comfortable shank, which makes it perfect to be stacked along with other rings.